Size, mm: 90 (height) х 45 ( diameter). 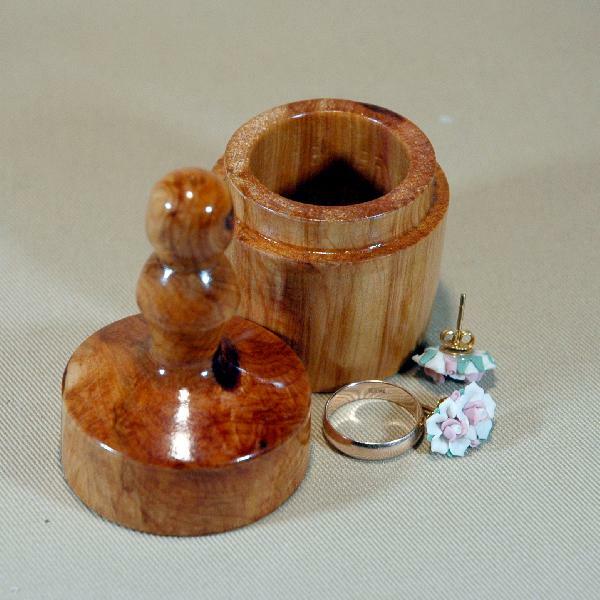 A small juniper wood casket that has a pretty original shape. Great for storing small jewelry like rings or earrings. A practical and original handmade gift.